Ende: The Birthplace of Pancasila | What an Amazing World! With an area sprawling as far as 5,200 km (more than 3,200 miles) from east to west, dotted with more than 17,000 islands – including some of the world’s biggest, inhabited by more than 300 ethnic groups speaking some 700 languages and following six official religions and dozens of indigenous beliefs, it is quite miraculous to see that Indonesia existed at all, especially in a world where international borders are often drawn along racial and sectarian lines. One of the toughest challenges the nation’s founding fathers encountered was formulating a common value, or a shared idea, or basic principles Indonesians can hold on to in order to keep the social fabric of the nation strong. 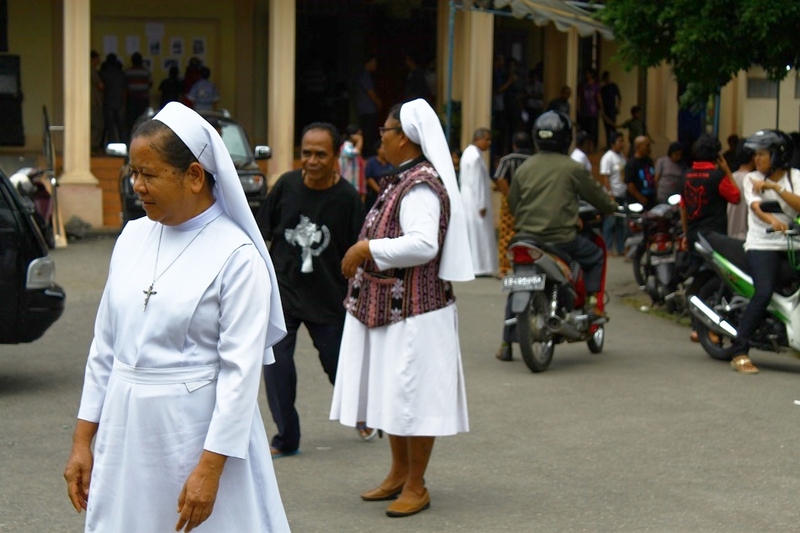 Despite being a largely Muslim country, Indonesia has pockets of Christian and Hindu-majority regions, a fact which makes Islamic law unfavorable not only by the minority groups but also by a large number of Indonesian Muslims. During his four-year exile in the Dutch-controlled town of Ende on the island of Flores from 1934 to 1938, Sukarno – who would later become Indonesia’s first president – created five tenets which were then formalized into Pancasila – the five principles, a quasi-secular* set of principles on which the nation would stand and thrive despite the improbable heterogeneity. Pancasila – consisting of five ideas: Belief in God, Human Rights, Unity, Democracy and Social Welfare – was then immortalized into Indonesia’s emblem along with Garuda, a bird from Hindu mythology, upon the nation’s independence. Together they symbolize the unusual juxtaposing elements that make up the country. Nevertheless the nation’s revered ideology started in a humble place. Sukarno purportedly frequented a breadfruit tree near a beach at Ende, not far from the small house where he spent his years in exile. There he contemplated and wrote anything from several plays to political ideas on gaining independence from the Dutch. 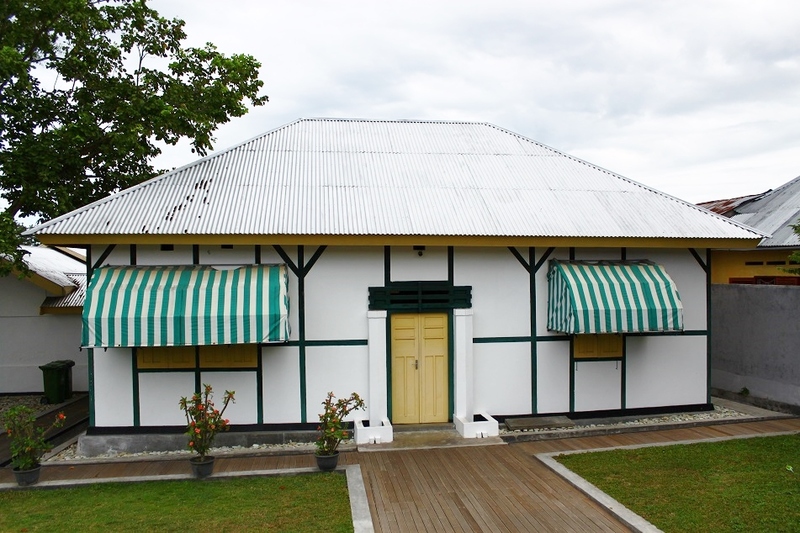 The town itself was a perfect birthplace for Pancasila for it was a mini-melting pot where Catholic priests and locals rubbed shoulders with Christian Dutch and Bugis Muslim traders. In addition to the town’s historical significance, its surrounding’s geographical features were nothing short of fascinating. *Indonesia is neither secular nor theocratic. Neither does it have a state religion. 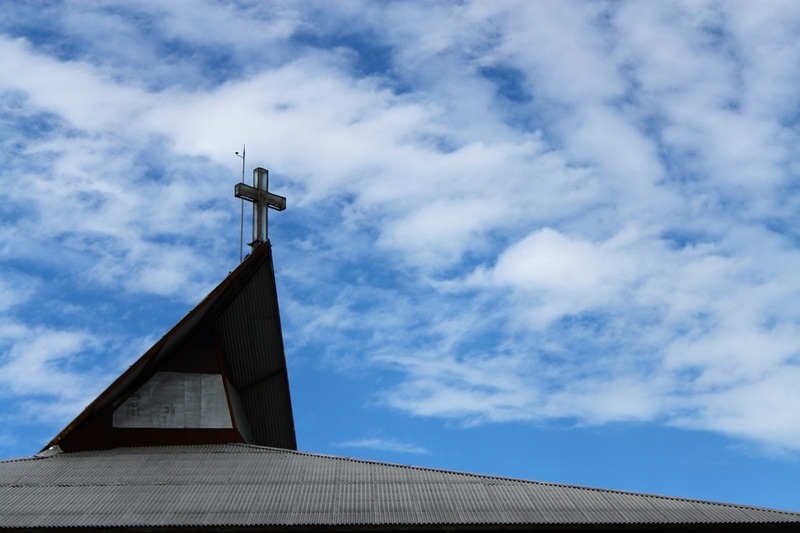 However it has a Ministry of Religious Affairs, housing representatives of six official religions – Islam, Protestantism, Catholicism, Hinduism, Buddhism and Confucianism – as well as traditional beliefs. 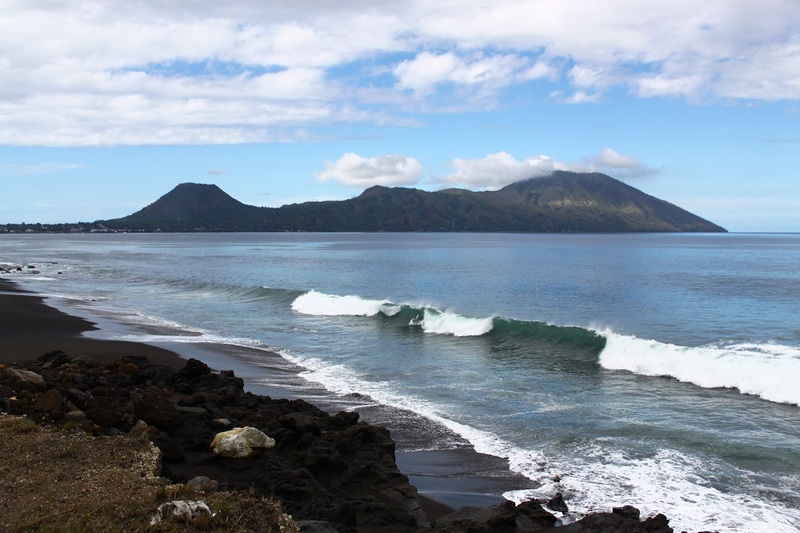 Today Ende remains a relatively small town, surrounded by verdant mountains and black sand beaches littered with blue pebbles. 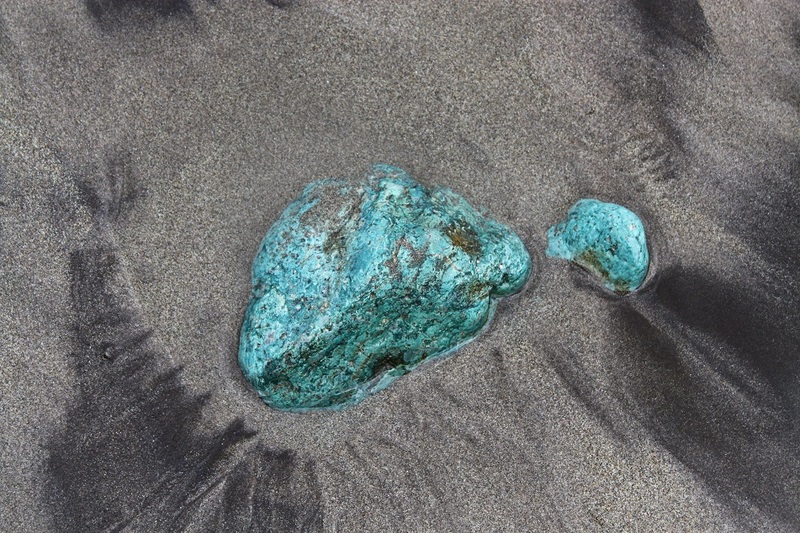 Experts conducted research in the area and concluded that the color of the seemingly out of place pebbles was the result of a chemical reaction from an ancient volcanic activity. 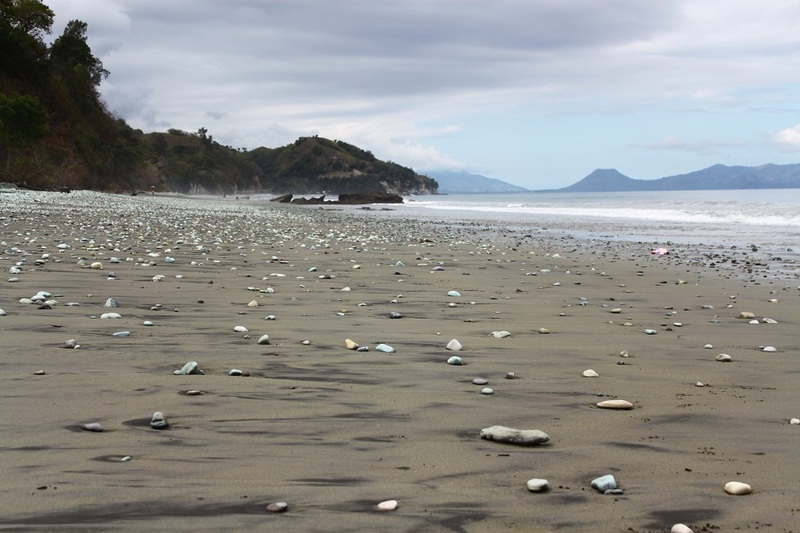 Not only scattered along the beach, the blue pebbles were also neatly tucked underneath layers of thick soils on some hills, made visible due to the opening of the Trans-Flores highway decades ago. In a much less scientific manner, legend has it that a hill and an island near Ende were the results of a fatal quarrel between a husband and his wife. 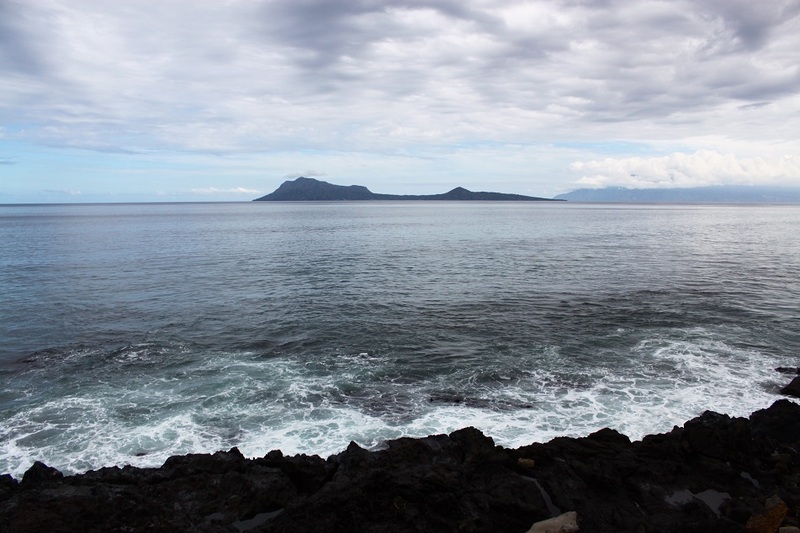 No ordinary couple at all as they were two mountains occupying the peninsula jutting into the Savu Sea. One day the husband was terribly mad at his wife for she fell in love with another mountain. He then cut her throat off with a knife and threw it into the sea. The knife became a small island off the coast of Ende and the head of the ill-fated wife became a hill. Quite a graphic story from the otherwise peaceful town. We didn’t spend too much time in Ende, and as Dino drove westward rows of mosques and churches were alternately sighted on the roadside, a reminder of the multicultural nature of the town where the nation’s ideology was conceived. Great ideas often have a humble beginning, indeed. amazing – when religious come together – There is Peace in World! I couldn’t agree more, Mihran. We are all more similar than different, and traveling helps us understand that. I felt after reading your story, I was walking in my hometown Jerusalem, Israel and feeling the respect with the three great Religious Christianity, Island and Jewish! Ah, how lucky you are to call Jerusalem your hometown. It’s one of the cities so rich in history which I want to visit the most. Walking down Jerusalem’s old quarters where people from the three Abrahamic religions live side by side must be an experience on its own. I surely hope so. Thanks for the wish, Mihran. Those blue and green pebbles are real? Beautiful! Yes, Rosh. They are very real. They do look like they have been painted, by volcanic activity in this case. That is amazing. I’ve never seen it before. Very cool Bama. Thanks Rosh. 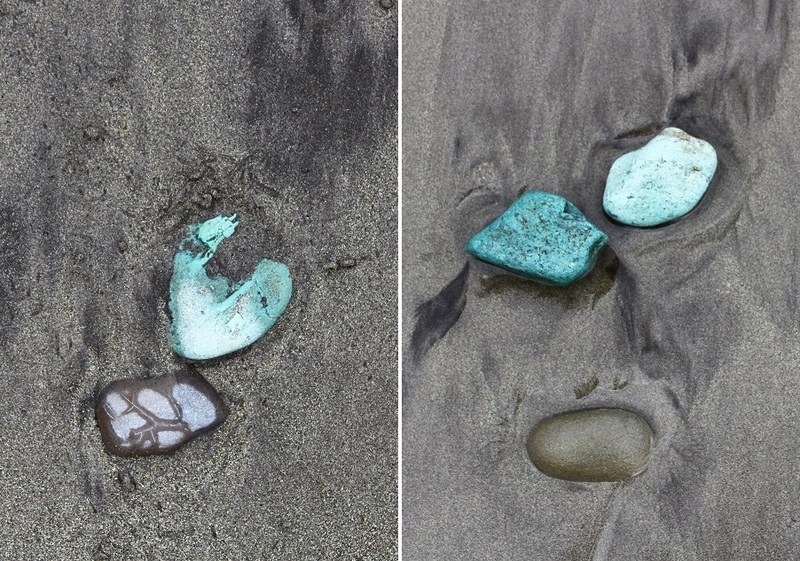 I have never seen any other beach with blue/green pebbles. So maybe it’s very unique to this part of the island. Pack your bag and go! 🙂 You can fly direct to Ende from Bali. Reblogged this on Travel Experience. 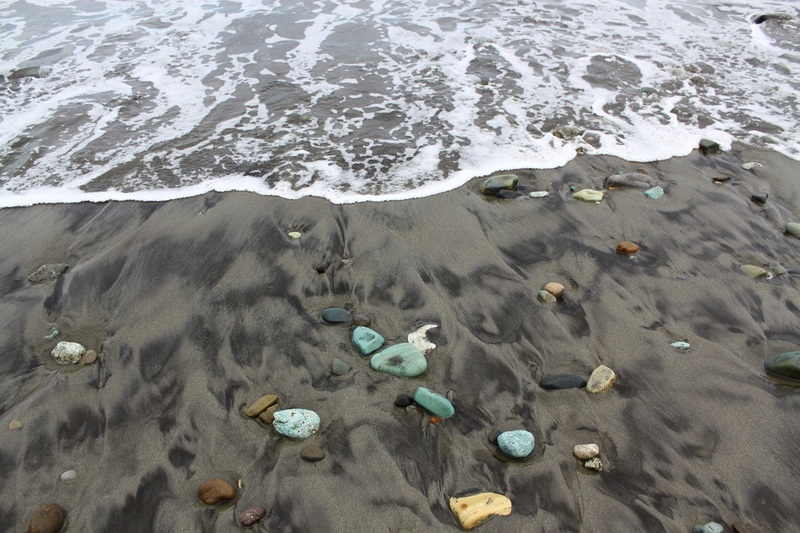 Bama, my photos from the black sand beach at Nangapanda didn’t turn out very well – you did a much better job of capturing the colours of those pebbles! It was great to stumble across the Catholic church and see the faithful milling about just after Mass had ended. I’m glad you wrote about the tale of the jealous husband; had we spent one night in Ende I imagine we might have boarded a boat to see the “knife”! Nah, untuk Banda Neira udah saya rencanakan untuk dikunjungi. Tapi tidak tahun ini. Nah itu dia, saya sebenernya gak setuju dengan kebiasaan mengambil batu, pasir, atau apapun yang ada di suatu tempat yang indah. Waktu saya ke Pantai Pink, Komodo, saya diberi tahu bahwa dulunya pantai itu berwarna lebih pink. Tapi orang-orang sering membawa pulang pasirnya sehingga sekarang sudah tidak se-pink dulu. Guide saya di Flores bilang kalau batu-batu biru/hijau di Ende tersebut gak habis-habis. Tapi saya lebih menganjurkan untuk tidak mengambilnya. Setuju! Harus ditanamkan mindset bahwa ekonomi yang berkelanjutan akan lebih menguntungkan. 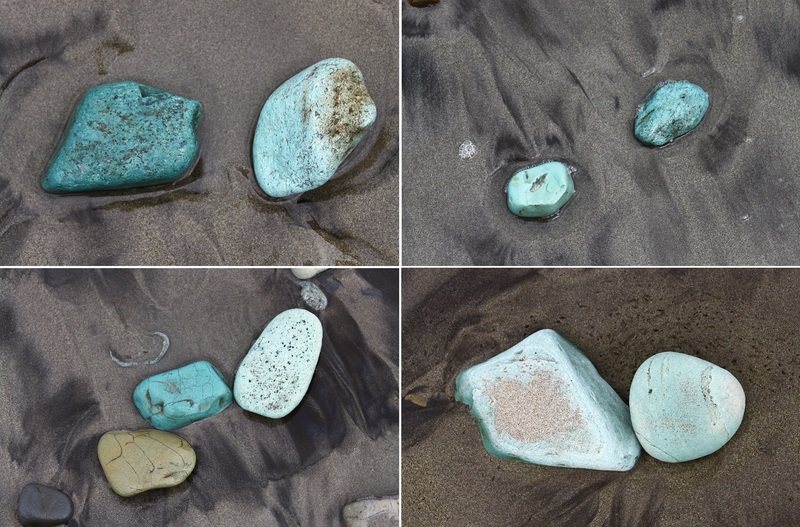 I love the turquoise colour of the pebbles!!! Gorgeous! Beautiful post Bama. Ah, Wira. Selalu mupeng liat foto-fotomu. 🙂 Waktu saya ke sana katanya sebagian besar artifak yang ada di dalam rumah Bung Karno sudah dipindahkan ke Jakarta, dan sekarang rumah itu sudah jarang dibuka untuk umum. Love the colors of the stones Bama and how wonderful to hear of religions coming together and sharing space. Wonderful post. Loved the beautiful beach & pebbles. It’s indeed amazing to see the warmth of religions/diversity in unity & at peace. Good Wishes. Thank you, Ruchi. Places like Ende remind us that in a world like this peace is what we all need, regardless our differences. Lha itu fotonya. 🙂 Sayangnya gak bisa masuk karena waktu itu gak ada penjaganya. Pagar rumahnya pun digembok. Great post Bama. Love the unity; sounds like this place has got it absolutely right. Religion should create harmony and bring people together, not divide them. Thank you, Jenny. I couldn’t agree more with you, religion should create harmony. Yet in many cases it divides us. Too many wars and conflicts arose from religious reasons. It seems that I really missed an important place when I travelled in Java and Bali . You can be very proud to have become free from the Dutch. I Love mulicultutal countries. Many thanks for your highly interesting post. Best regards. I remember seeing bags of blue stones along the side of the road waiting for collection. The bags were still there, on a roadside. I wonder what people do with those bags full of blue pebbles. Great post and pictures. Those stones are really beautiful. The beach and those unique blue pebbles are gorgeous! Coming from where I do, I could relate to your sense of wonder at how Indonesia has remained intact despite its pluralism 🙂 Incidentally ‘Panchsheel’ was the name given to the series of treaties for peaceful co existence between India and China in the sixties! This blog post is super interesting. The photos alone are worth a good look! Pingback: Komodo: A Magnificent Conclusion | What an Amazing World!